Just Say I DO. We'll Do The Rest. 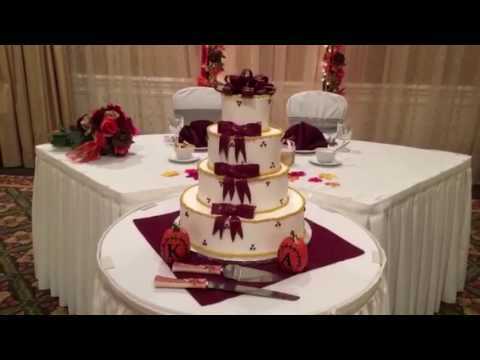 Make your wedding an event you and your guests will never forget at the Clarion Hotel & Conference Center in Toms River, NJ. Featuring an expansive ballroom that can accommodate up to 240 people and a sky-lit atrium for cocktail hour, our wedding facilities offer the perfect backdrop for your special day. All of our elegant banquet rooms have recently been redecorated, with the romantic elegance of crystal chandeliers and the warmth and comfort of cherry wood trim throughout. 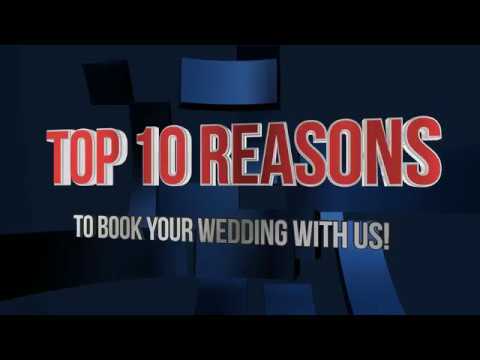 At the Clarion Hotel & Conference Center, we&apos;ll take care of everything you need to make your dream wedding reception come true. We&apos;ve been providing delectable meals and impeccable service to Ocean County for over 20 years, and we&apos;re pleased to bring that same hospitality to your wedding. Our on-staff banquet manager will work with you to create a personalized package covering everything from hors d&apos;oeuvres to cocktails to entrees. In addition to our fine foods from our three diamond AAA hotel&apos;s catering staff, we also offer open bar service with name brand liquors, wine and beer, custom decorated tiered wedding cakes, color-coordinated fresh flower centerpieces and more. Have a special request? Just let us know, and we&apos;ll make it happen. Please visit our web site for additional information, and then contact us today to schedule your personal consultation! The Clarion was absolutely amazing! We unfortunately had to find a new venue less than 2 months before our wedding because our original venue double booked. We had already had guests staying at the Clarion that night so we called them to see if they did weddings. Amazingly they had our date open! Even with the short time frame, they helped us plan everything and made it stress free! The banquet manager Kevin is great, easy to work with and will help take care of everything! They are also very reasonably priced for the service they provide! Me and my husband were greatly appreciative of everything they did for us on short notice and I would recommend them to anyone! I cannot say enough about the Clarion Hotel!!! From the cocktail hour, to the reception, to the bridal suite -- everything exceeded our expectations. We were told by all of our guests that it was the best wedding they have been to in a long time. The event coordinator Kevin and staff were so accommodating. I cannot say enough about the Clarion Hotel!!! We would definitely recommend The Clarion to anyone in the area! During the booking and planning stages the banquet manager was up-front, honest and awesome to work with! The prices include all taxes, tips & fees so no surprises later on. All of our guests loved the food at cocktail hour and dinner and everyone had a great time! The service was excellent and they even catered to the kids we had running around! Included a custom cake that was as delicious as it was beautiful and overnight accommodations for bride & groom! The hotel bar had a DJ going until 2am, so once the reception was over, we headed to the bar to continue the fun! We would definitely recommend The Clarion to anyone in the area!! Kevin, the banquet manager was awesome, he was quick to respond to an email or phone call. He was very flexible and accommodating. Bob, who is the general manager of the hotel, married us and did a great job! The food was delicious and everything was set up perfectly and just as asked. I'm very picky and it was hard to give up the control, and let them set things up. Of course I couldn't do it, I had 400 other things to do, but leave it with them and it'll be perfect. Love this place! We held my daughter's wedding at The Clarion and have nothing but good things to say about it. Everything was beautiful!!! The venue was beautiful, the staff was helpful and accommodating, the food was delicious, and it was everything we hoped it would be!!! Everyone loved it!